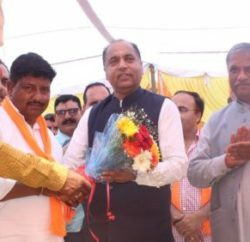 MPP and Power Minister Anil Sharma said that the state government would make best efforts to harness the power potential available within the state. He said 27,500 megawatt potential had been identified in the state out of which 10,500 had been harnessed so far. Besides, various 2500 MW projects were under construction and various other projects amounting to 8000 MW capacity had been allotted. 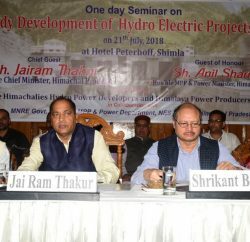 Sharma, in a review meeting with officers of H.P State Electricity Board Limited, Power Corporation and H.P Power Transmission Corporation, said the after making available the power supply to all census villages of the state, the department would now focus on providing uninterrupted supply round-the-clock to the consumers. He stressed the need to replace old power supply lines, poles and installing more transformers to tackle the low voltage problem. 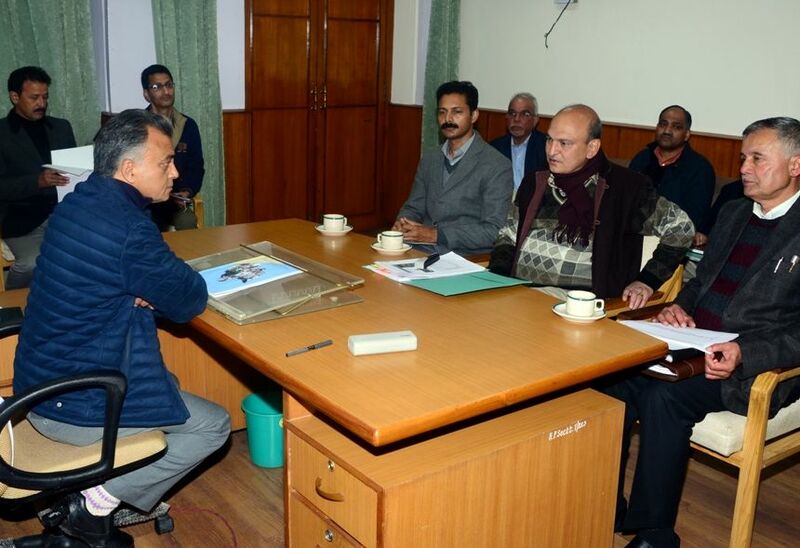 He said that government would consider setting up smart grid system on the analogy of developed countries in Shimla and Dharmashala, which were being developed as smart cities. The Power Minister underscored the need to give special attention to check the transmission losses, although it was much lesser in the state as compared to national average. He also stressed to make use of modern technologies for bringing reforms in the power sector. Additional Chief Secretary, Power Tarun Shridhar informed that old power supply lines and poles had been replaced at maximum places in the state which had resulted in improving the power supply. He said the Power Corporation had started work on Kashang phase-I while work on Kashang-III Sawra-Kuddu (111 MW) and Shongtong (450 MW) projects were under construction and would be completed in 2018, 2020 and 2021 respectively. He said the Board was purchasing the power from all private power projects up to 2 MW. He said that the state was generating surplus power and the state would earn revenue of around Rs. 1100 crore from sale of power to other states during this financial year.